Under 9s Girlsarrow-rightCreated with Sketch. 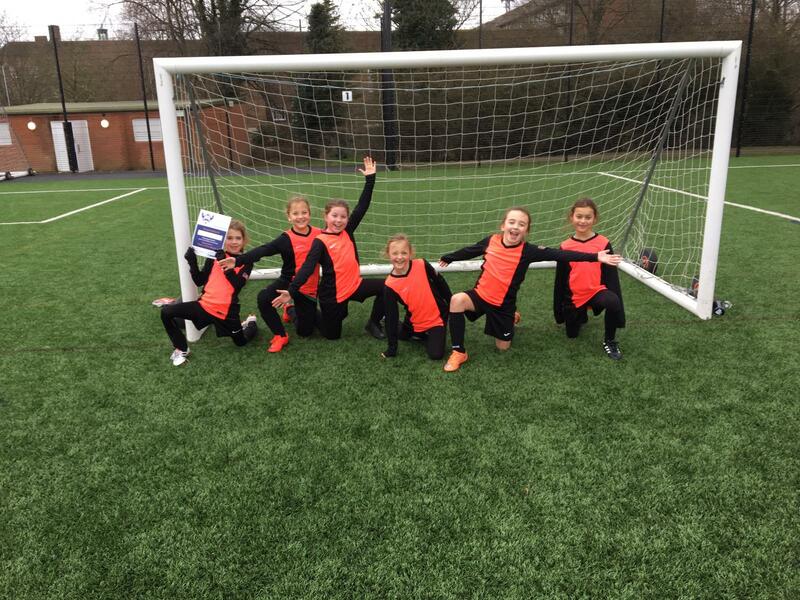 The u9s played Meninas Brasilia today in the Herts Girls Partnership Friendly Leagues, We had 5 players so each girl played the full 40 minutes and worked really hard. Daisy, Grace, Evie and Louisa all took turns in goal and there were some great saves. The defence worked hard in the first 20 minutes with all the girls contributing to protecting the goal. The momentum changed for the last 10 minutes with Bury very much looking to move forward and the girls were rewarded with a great team goal put away by Evie which nearly took the net off! Louisa and Cecily grew in confidence as the game progressed with some fabulous passing and good movement off the ball. Daisy was strong in defence and ran for the whole game. Evie was great in possession, taking the ball up the pitch , and covered when necessary. Grace was player of the match. She stepped up to take her turn in goal, even though she really doesn’t like it and worked hard for the whole game. She really developed as the game went on, with more confidence in tacking and also with a couple of close shots on goal. The opposition coach praised Bury’s fighting spirit at the end of the game and told all the girls they should be really proud of the way they played. He was absolutely right. Go Go Bury.